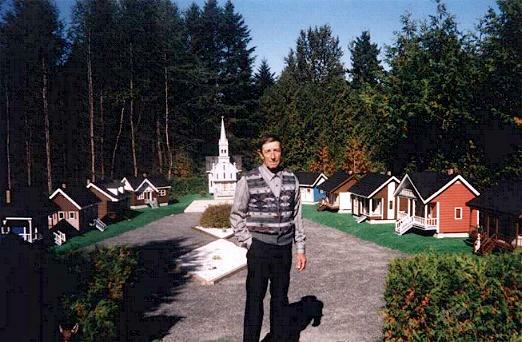 Born September 7, 1921 in St. Camile de Bellechasse, who died March 7, 2013 at his residence surrounded by his family, Mr. Ernest Baillargeon began woodworking self-taught from the age of 11 years. 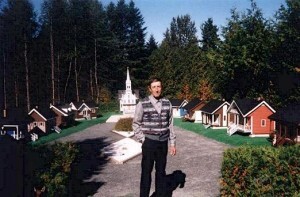 Mr. Baillargeon profession carpenter undertakes the construction of a miniature village in 1989. To create his works, he uses wood from his land and all usual and unusual materials it recovers. Besides, the sawmill he uses was made from an old “bulldozer”. Mr. Baillargeon helped and supported by his wife Helen, have invested more than 16,000 hours of work in achieving this village.